I’ve had a few requests to write a blog post on my personal food diary. This is a difficult one, because every individual’s needs are very different when it comes to nutrition. Factors such as height, gender, age and activity levels hugely affect your body’s nutritional demands. With this in mind, I want to make it clear that I’m not suggesting for anyone to follow these guidelines directly, because it’s more than likely that they aren’t tailored to your individual needs. My body is incredibly consistent when it comes to food, and I know my metabolism well enough to expect hunger around every three hours. If I don’t eat, I quickly become hangry (something that my friends and family will definitely vouch for). As such, I generally eat three main meals a day, with two substantial snacks in between. This won’t be the same for everyone, it’s just the way my body functions. I eat a lot because I lead a very active lifestyle. Below, I’ve drafted out two rough examples of what I may eat in a day. Breakfast: Two eggs, poached or scrambled, half an avocado and one slice of wholemeal/rye toast. Mid-Morning Snack: Protein shake, consisting of one banana, one scoop of protein powder, a small serving of oats (same size as protein scoop), topped up with water and ice. Lunch: Chickpea, mixed bean and red pepper stew, with plenty of kale, and a spoonful of houmous. Mid-Afternoon Snack: One small pot of Fage 0% fat yoghurt, with a handful of mixed nuts, a handful of berries, and a drizzle of honey. Dinner: Two grilled cod fillets, with one mashed sweet potato and a large serving of mixed veggies. Breakfast: Protein zoats, consisting of one grated zucchini, mixed with approximately 50 grams of oats. These are cooked in water, with one scoop of protein powder, topped with a spoonful of nut butter and a handful of berries. Mid-Morning Snack: Protein shake, as above. Lunch: Quinoa and spinach salad, dressed in balsamic vinegar, with one can of tuna, half a mashed avocado and fresh sweetcorn. Mid-Afternoon Snack: Houmous with carrot, celery and apple sticks. If I’m really hungry, perhaps also half a wholemeal pitta bread. Dinner: Two mixed bean veggie burgers (no bun), topped with one egg, and a large side of mixed veggies. If I get hungry at any other stage in the day, I usually snack on fresh fruit. I don’t count my macros, I just enjoy eating healthy food. That being said, if there is a day when I fancy something naughty, I’ll have it. It’s all about balance. Prepare your own food whenever possible – those shop bought lunches are full of hidden nasties! With January over, you’ve probably already forgotten the resolutions you promised to keep whilst welcoming in the New Year. I’ve come up with some handy everyday tips, to help keep you on track in reaching your health and fitness goals. Walk More: Walking is such a great calorie burner, and it’s also an amazing way to have some ‘you’ time. I walk 35 minutes into (and home from) university everyday, and I always look forward to it, because I use this time to unwind and organise my thoughts. Be More Organised: Organisation really is the key to maintaining a healthy lifestyle. This may involve weekly meal prep, or planning your workout before you get to the gym (which you should always do). I start every day with a to do list, so by the end of the day, I feel a sense of accomplishment in what I have achieved. Set Small, Realistic Goals: If you aim to lose ten pounds in a week, you’ll be disappointed when you don’t reach your goal. The trick to maintaining motivation is to set yourself small, achievable daily or weekly targets. These may include things such as being active in some way for an hour a every day (consider walking, as I mentioned earlier), or completing three high-intensity workouts in a week. Don’t Beat Yourself Up Over The Small Stuff: There are some days when nothing seems possible. You’re swamped with work, and your to do list is endless. How on earth are you going to find time to go to the gym? The truth is, no one’s schedule is perfect all of the time. There will be days when you simply can’t make it to the gym, and days when you aren’t feeling it. But that’s okay, just remember not to let this become a habit. If you eat something naughty, don’t adopt the mindset ‘I’ll start again tomorrow’. Start again from your next meal. If you miss a workout, make up for it another day later in the week. Track Your Progress: This is another way to get the positive vibes flowing. It’s easy to forget how far you’ve come, so progress pictures are an amazing way of reminding yourself. You can also keep a journal, and if you feel like you may revert back to old ways, have a read through it and remember what you’ve achieved so far. Change Up Your Workout Routine: It’s not always fun to go for a run on your own, or complete a HIIT workout at home that you found on YouTube. Don’t allow yourself to get stuck into the same exercise routine week in week out, because this will lead you to lose motivation (not to mention that change is necessary if you want to progress). Why not team up with a friend and try a new class at your gym? I hope you find these few tips helpful! Here’s to a fabulous 2016. In the modern world, diet pills are becoming an increasing phenomenon. The overwhelming desire to lose weight is leading thousands of individuals to purchase chemical products that they perceive to be a ‘quick fix’ to losing fat, fast. Manufacturers make far-fetched promises, the vast majority of which are not backed up with any evidence. Diet pills tend to contain stimulants such as caffeine, dextromethorphan or ephedrine. These chemicals have the capacity to suppress your appetite and increase your metabolism for a short period of time. Both of these effects wear off rapidly, with no long-term alterations to your resting metabolic rate or the scale of your appetite. Many of these products are purchased on the internet, and marketed as ‘natural remedies’ or ‘herbal substances’. However, the reality is that because such products do not require approval from the Food and Drug Administration (FDA), they can be extremely damaging to your health. Although ‘ingredients’ may be listed, you cannot be certain that this information is reliable. Too often diet pills purchased online contain traces of illegal or extremely harmful chemicals. 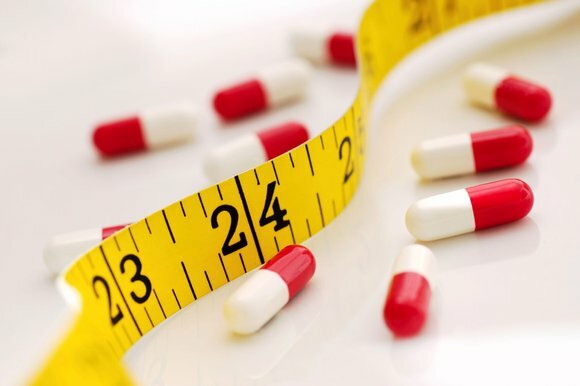 Recently, health commissioners have issued a warning about the substance 2,4-dinotrophenol (commonly known as DNP), which has been found in weight loss pills bought on the internet. The chemical, regularly used as a raw material to create explosives, has been directly linked to a number of diet pill related deaths. Most deaths linked to weight loss substances occur as a result of a severely increased internal body temperature and/or an escalated heart rate, which eventually leads to heart failure. Despite these risks, the demand for diet supplements continues to rise. People struggle to come to terms with the idea that there is no ‘wonder pill’. Fat loss is a journey, and it occurs as a result of clean eating and dedication. Anyone can do it. There are plenty of ways to boost your metabolism naturally, details of which will be included in my next post.